Philadelphia accident attorney Rand Spear discusses how falls that occur due to ice or snow are handled. Philadelphia, PA / January 22, 2019 / -- Winter is here, and that means ice and snow for Pennsylvania residents, so Philadelphia slip and fall accident attorney, Rand Spear, took some time to discuss what happens and who is responsible if you have a slip and fall accident due to icy conditions. 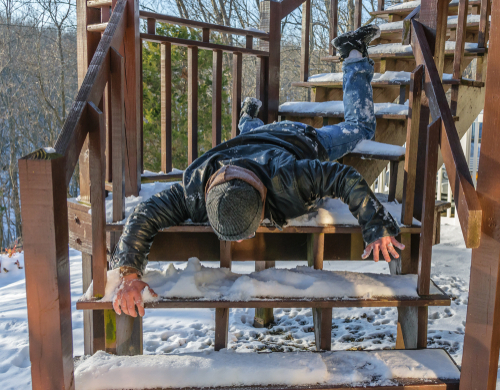 If you or a loved one has suffered a slip and fall injury in Pennsylvania as a result of ice or snow, it’s important that you contact an experienced slip and fall accident attorney to get started with your case. Pennsylvania's Rand Spear can help you with your claim at 215-985-2424.